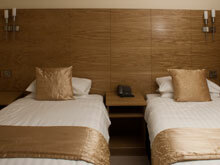 All superior double rooms have King Size Beds with luxury pocket sprung mattresses. 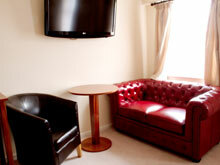 All executive double rooms have Super King Size pocket sprung beds with 42" LCD flat screen TV. 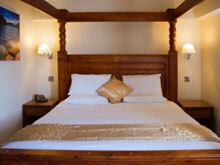 A number of these rooms also feature solid wood four-poster beds (please check availability when booking). 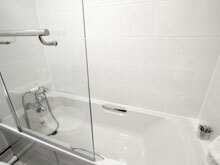 Our elegant bathroom suites are comprised of a combination of fully fitted overhead showers, walk-in shower cubicles or bath with overhead shower. Our rooms are individually decorated so that no two rooms are the same except for the quality that they exude. We are also happy to cater for specific room requirements where possible, so if you have a particular need during your stay with us please do not hesitate to ask us for assistance. For all room prices and special offers, please see our Accommodation page or click here.